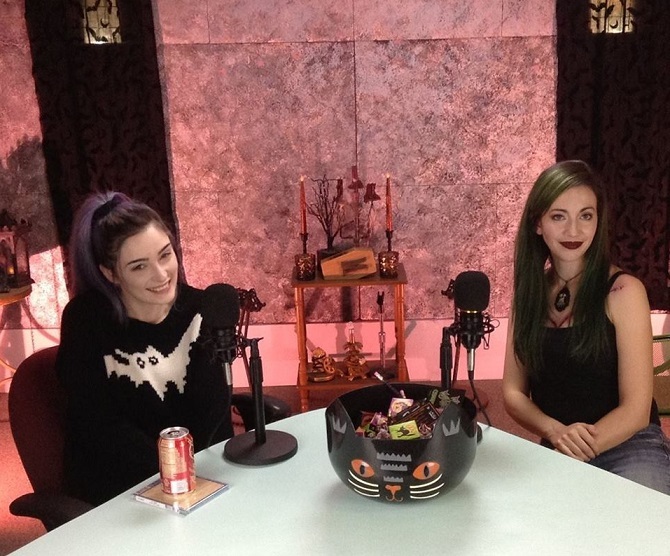 The video podcast featuring America's beloved horror hosts Marlena Midnite and Robyn Graves from the television show MIDNITE MAUSOLEUM. It is a great way to kill 30 minutes of productivity ! March 4, 2017, Tanz Der Nacht presents Jihad, with DJ Depraved and DJ Dante's Prayer on decks. Free show, 21+ only. Thirsty Camel 5307 McCullough San Antonio, TX 78212. Every other Monday from 7-9 CST DJ Dante's Prayer and DJ Depraved and family will be broadcasting live on www.modsnapradio.com. Necromancy Radio recently spoke with Metal Temptress and Australian front woman for the band As Angels Bleed, Avelina De Moray. Avelina is super talented vocalist, pianist, guitarist, photographer, vampiric artist, web developer, product designer and all round artisté. Born and raised in Sydney, Avelina’s introduction to music started with playing piano at an early age, going to grunge concerts in the 90s and having taken guitar lessons from her now husband, Von Lehmann. The couple have shared 15 year partnership as writers and producers for the band As Angels Bleed, not to mention previously been offered touring contracts with international labels. They released their first full length self-title album in 2013 and you can find their music on iTunes. They are proud to be self-made, have their own recording studio and continue to create new music independently. Avelina’s passion for vampire art and the romance of immortality is subject matter of most of her work and the execution of her art direction on photoshoots and blood making is impressive. You can also view these on her website and of course they are all for sale. She is quite the entrepreneur when it comes to her marketing of ideas and lines of jewellery, t-shirts and merchandise. Avelina in recent times has been uploading tales of adventure on her YouTube channel as well as collaborating with other gothic creatives and models such as ReeRee Phillips and also to be released upcoming project with Drak Makens. Avelina’s other passions lie in design and fashion. She loves to create and has designed a series of clutch purses that are soley branded for the person intended. Her original clutch purse (which I have) is a black faux snake skin number with red satin lining and her own trademarked logo of a silver bat with ‘Avelina De Moray’ stamped into the badging. It’s a classic item and I can recommend this for an all round go to vampire clutch with class. The latest design developed is ReeRee Phillips Clutch with purple suede accents and black vegan leather, features diamonté bling, a bat winged clasp and purple damask detail. I look forward to seeing more of Avelina’s designs, music, followings and endeavours for 2017. You can follow her on all the social links below as well as check out her website for the latest news, art and adventures. As Angels Bleed also have a website for music sales, touring information and contact business enquiries. She’s a total babe with a killer voice. Check her out and share the love! Elizabeth Barsham’s pictures depict a world where all may not be what it seems. Is it a Rainforest Theme Park where eco-tourists come to gape at the Last Tree, supported by complex technologies to keep it alive, surrounded by Faithful Recreations of a Real Forest Environment? Is it a world where nature has triumphed, growing over and obscuring the works of man? Or is it something else altogether? If there is passing similarity between her work and that of some Surrealists, it is not that they have influenced her; rather, we share the same influences – the meticulous and eerie paintings of late mediaeval and Renaissance painters such as Rogier van der Weyden, Dürer, Bosch, Altdorfer, Elsheimer and Filippo Lippi, and later painters like Poussin, Breughel and Rubens. Elizabeth’s pictures are multi-layered and deliberately ambiguous re-presentations of the world, executed in an illustrative style to avoid distracting the audience with layers of cultural history and artistic mystification. There is no “correct” interpretation; whatever meaning you discover will be right and valid. The images are frequently disquieting; perhaps a bit frightening, but always intriguing and, she hopes, amusing. Elizabeth grew up in Lindisfarne, attending Lindisfarne State School and Rose Bay High School, then studied art in Melbourne under Wesley Penberthy and Ming Mackay. Elizabeth has had paintings hung in the Blake Prize and other major exhibitions: they have won many awards and have been acquired by Monash University and by private collectors Australia wide, as well as in Canada, UK, New Zealand, Singapore, France, Germany and Japan. She exhibits regularly and work can frequently be seen in mixed exhibitions at CAST and the Long Gallery in Hobart. You can also see recent work on her website. Elizabeth has a solo exhibition opening this Friday 13th until the 22nd January (yes it’s deliberate), at the Freehand Gallery in Hobart, 212 Elizabeth Street – right next to the best Turkish restaurant in town. The opening starts at 5.30pm. Please attend if you are a Tasmanian and meet this true Gothic. If you are also in town for the MO FO Festival, make sure you put this exhibition on your list of must sees! You can also find Elizabeth on Facebook and if you would like more information on Elizabeth’s work, please visit her website Tasmanian Gothic. SoundCloud is where I first discovered Bat Nouveau. It’s the place where you can discover new music made by unknown artists as well as float in a pool of successful acts that only like to do things their way. By searching for gothic rock, I was able to discover a band that’s been around for almost 10 years and have invested in a few of their vinyl. If you like the traditional chorus sounds of The Cure and primal screams of early Bauhaus, this band is for you. I have been listening to their music since around 2010. Formed on the Gold Cost, New Zealand born lead singer Todd Manion formed the band with guitarist Alex Palmer. 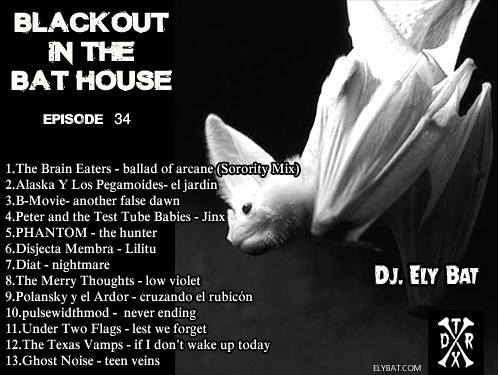 The two met on MySpace as an online collaboration and initially formed the band under the name of 13 bats. 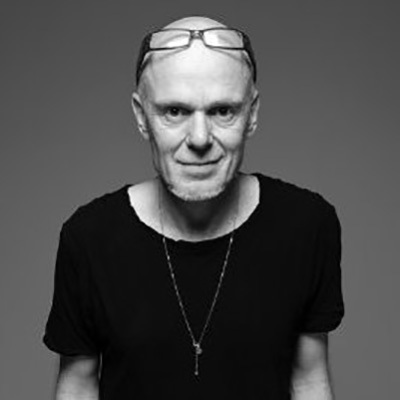 I spoke with Todd Manion about local bands, his earliest influences, crowd petitions that put them on the map to support acts like Peter Murphy and then to follow on, Gary Numan. Although Todd has moved to Melbourne in the last 2 years, the duo are experiencing a long distance relationship, I am assured there is new music on the horizon despite this indefinite hiatus. It’s nice to actually talk to the one of the makers of the music you enjoy so much. It was a great conversation and I hope you enjoy this interview and get into discovering their music. You can purchase recordings on Bandcamp and follow them in the social media links below. Todd Manion is currently working on a new project called ‘Tortures” with 2017 on the horizon. A first limited edition vinyl (45 rpm) single “Walk through the Sleet and the Rain” was released in 2013. In 2015 a second (split w/ the Moon In June) vinyl 45′ was also released containing their single “Dead Alaska”. Last weekend we visited an exhibition at Glow Studios here in Melbourne launching the works of Venus Virgin Tomarz. It was a VIP event we were so excited to see this incredible show hosted by Robert Earp, Photomaker and of course meet the star of the show Venus herself. As I was surrounded by body painted aliens and enjoying a glass of champagne I got talking to the make-up artist who was responsible for the project’s make-up artistry and body painted bodies in the room. Her name is Alejandrina De La Rosa, and being I was the only goth at the party, she got talking to me about her artwork, the fact that she is from Mexico City, her paintings which were all very darkly inclined, not to mention beautifully executed. We teed up an interview for Necromancy Radio so you have an hour to spare, put your headphones on and you can hear Alejandrina’s stories that are not only heartfelt, but full of courage and creativity. She talks about growing up in Mexico City as a child, being raised by her Grandmother and delving into the unknown by having an outer body experience with Ayahuasca (or Iowaska). Ally is based in Phillip Island, but commutes to Melbourne for all of her work in Film, Television, Events and Weddings. If you would also like to find out more about her paintings and artwork, just see the social links below and get in touch. I was so honoured to have had the opportunity to speak with her, as she truly is a very dark and talented woman. Stay tuned for Part 2 of the Venus Virgin Tomarz upcoming video as well, in which there is rumour to being started next year. Welcome to episode 38 of Cemetery Confessions! 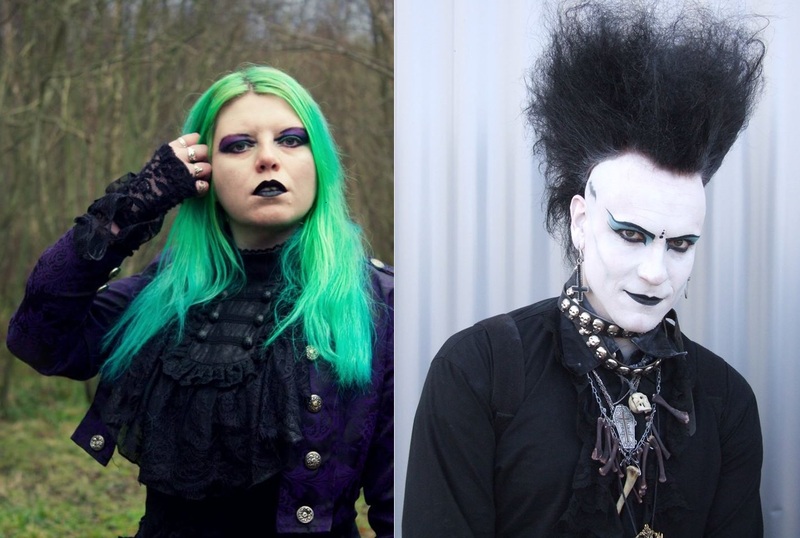 This month we are covering an interesting article claiming to have defined goth, and finally we are continuing our long overdue goths around the world series with interviews from goths in Germany and Scotland! Our guests this month are Carol and Matthias. Which is Goth? Subsections of the Counter Culture. Matthias is a German goth who is very active in the scene. You can find and purchase his art here! Carol is a blogger, event promoter, and photographer from Inverness, Scotland. This month I've asked that we all donate time or money to helping create a more rational, caring, and open society. Bellow are a few of my favorite charities.